Dublin is a wonderful place to live and work. Experience this through the eyes of Donal, a wannabe Irish man. He loved the place so much that he moved here, from London, in the middle of the recession hit 1980’s. Working for an IT multinational company, he’s trying to sell computers to Dubliners. That’s not easy. If he doesn’t close a big deal with his customer, the bank, by the end of the year he’ll be on the boat back home. You’ll meet Harry, the sales director, who should have been born two hundred years ago. Then there’s Nicky, the sultry marketing manager. Proceed with caution here. Try not to bump into Mannix, the sales manager. He’s rather clumsy and shy. Mairead is the smouldering Sales Prevention Officer. Be sure to stay on the right side of her. She could make things difficult for you. Try to avoid negotiating with Len, the bank’s procurement chief. It’s not a pleasant experience. If you fancy a night out in Dublin then take Terry with you. He’s the IT Director. He likes to be entertained. Be careful not to be mesmerized by Samantha, the bank’s beautiful Finance Director. She’s really cool. Will Donal achieve his longed-for Irishness? Will he close that sale? How will Nicky harness her sultriness for the greater good of society? Will Mannix overcome his inter-personal ineptitude? Will Mairead finally reveal the inner passionate woman? Will Terry get rid of Len? Will Harry get it together with Samantha? If humour be the food of life – read on! The genre is humour. This brings less pressure than aspiring to any great literary pretensions. All I want to achieve is to make the reader think and smile. Follow your nose. Think of a scene, a character etc. Draw a mind map and then, when you’re ready, put it into a word document. Don’t write for the sake of writing. If it doesn’t feel right then stop. There will be lots of stuff which you do write which you will later edit/scrap but you should at least start by believing in it. I was born in London in 1952 to Irish born parents. They both came from Monkstown, a pretty village on Cork harbour about eight miles from Cork city. It was here that I spent my first twenty summers. This wonderful experience caused me to view Ireland through rose-tinted glasses for ever more. Before the opening of Cork airport, in 1961, our annual pilgrimage started on a train from Paddington Station, in London. It took us to Fishguard, a port on the Welsh coast. Then we boarded the Innisfallen ferry, which passed Monkstown on its way up the river Lee to the docks in Cork city. The first plane to take us to Cork was a Dakota, a design which was initially used for transport and cargo during World War II. The journey took 2 hours 50 minutes. It now takes one hour by jet. We experienced a few air pockets as we passed over the Welsh mountains. These caused the plane to rapidly loose altitude. I recall the sight of some elderly women beating their chests and praying hard on their rosary beads, as this was their first experience of air travel. From about the age of ten I became aware that Ireland might be more than just a nice place to spend summer. 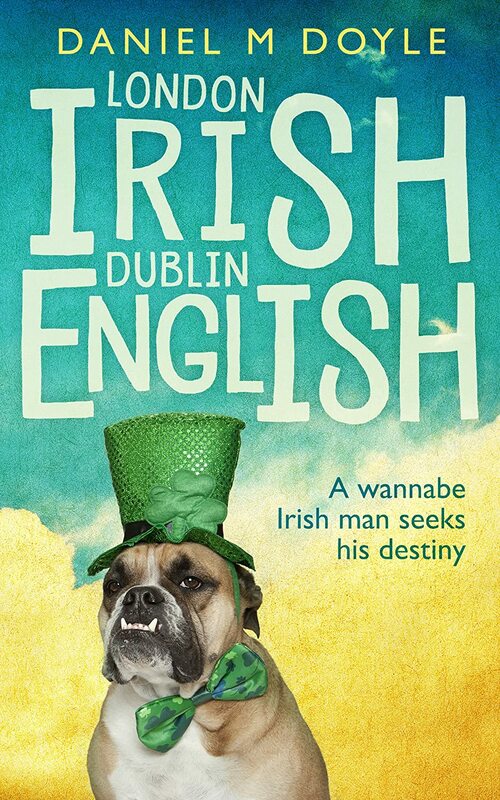 By the time I was fourteen I had decided that I was Irish rather than English. I had no animosity towards England or English people. London has always remained my second most favourite city – after Dublin. I went to college in Moorgate. This is part of the old city of London where the financial district is located. After college, my first place of work was near St Paul’s cathedral, where they hold the royal weddings. I would often seek refuge in this church on hot humid summer days. There was no air conditioning in my work office but the thick stonework of the church always kept it cool inside. I could not afford to do that now – it costs £16.50 to get in! My next job was in the west end of the city, on Albemarle Street – near Green Park, the Ritz Hotel, Bond Street and Piccadilly. My third and final job was in Wigmore Street, near Marble Arch, next to Selfridges department store. Although I loved the style and grandeur of London, I never wavered in my decision to move to Dublin in 1985, at the age of thirty three. I was 16 when I first experienced Dublin. With my parents and younger sister, I travelled from Cork to Dublin to visit my older sister, who was a student at University College Dublin. The city instantly drew me to itself and seventeen years later I finally moved there permanently. After almost 30 years in Dublin I still speak with an English accent. Some people are surprised by this and ask why. I answer them with two words: – Henry Ford. His father was born in Ballinscarthy, County Cork and moved to America in 1847, aged 21 years. Henry didn’t forget his Irish roots and, in 1917, he established his first purpose built production line outside of America – in Cork City. This is where my father got his first job, after completing his apprenticeship as a Fitter and Turner at (then H.M.) Hawlbowline Naval Dockyard School in Cobh, on Cork harbour. In the 1930’s he went to London to help Ford UK set up their first tractor production line. He worked forty years with Ford and lived in London, happily, for the rest of his life. So that’s why I love Dublin with an English accent.